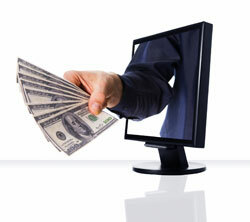 MerchantsXL will provide your online business with a secure connection between your website and the merchant bank processing networks. We offer several simple solutions for merchants who desire to attract online customers, but don't have the time or technical resources to build their own eCommerce solution or shopping cart. MerchantsXL supports you 24/7 through our dedicated service and technology customer experience team. Turn Any Website Into an Online Storefront! MerchantsXL offers an easy-to-implement, customizable shopping cart solution for merchants interested in having an online storefront. MerchantsXL is integrated into all major, third-party shopping carts, and since there is no software installation needed, merchants can start accepting payments with just a "flick of the switch." Combined with our Secure Real-Time Credit Card Transaction Processing Service, online merchants can benefit from the unlimited, income-generating opportunities that are available with the explosion of eCommerce. Create Payment and Donation Pages in Minutes! MerchantsXL provides an Order Form Generator solution that is perfect for the merchant who wants to establish on online presence, but finds that the functionality and cost of implementing traditional shopping carts is too much for their needs. The lower cost of the Order Form Generator, compared to shopping cart solutions - lets the merchant integrate an eCommerce solution in a cost-effective manner. The HTML Code Generator is easy to modify and allows the merchant to create and update web content quickly and efficiently. A customizable user-interface enables the merchant to design as many individual pages as needed. 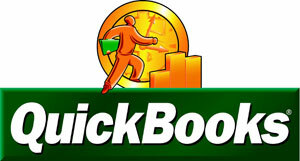 The Order Form Generator is easy to integrate with other MerchantsXL solutions, such as our plug-in for QuickBooks.